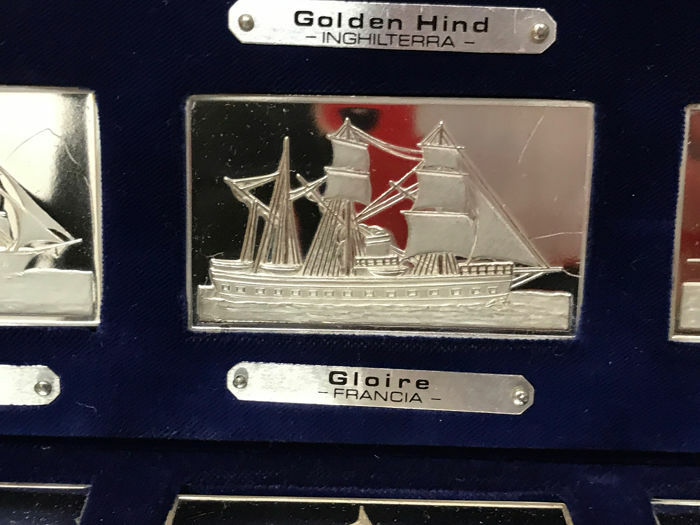 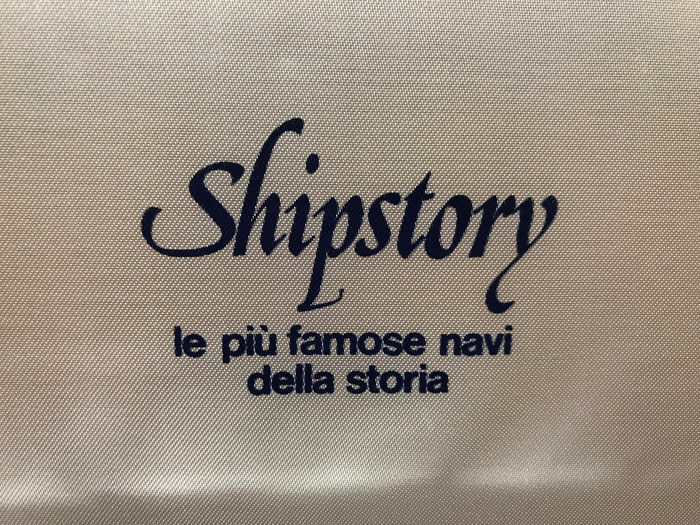 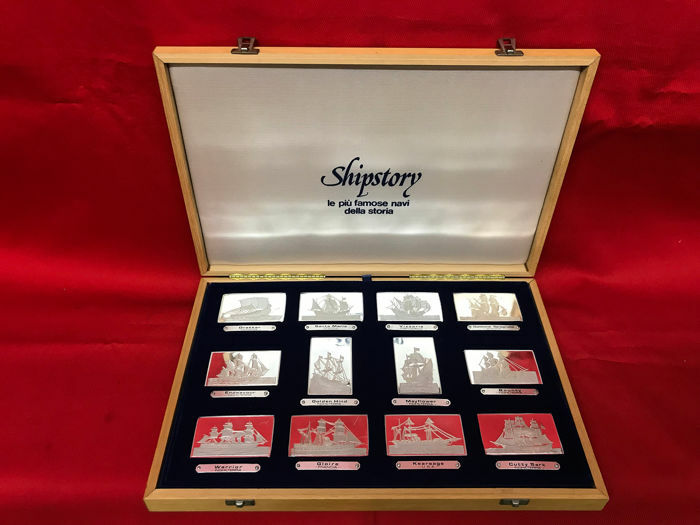 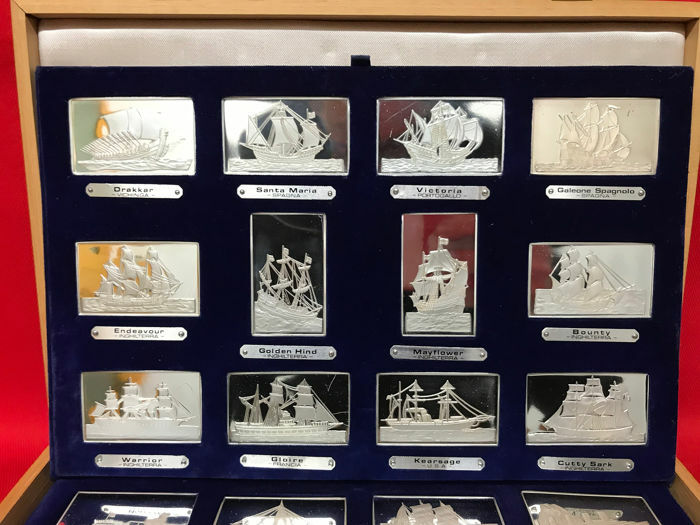 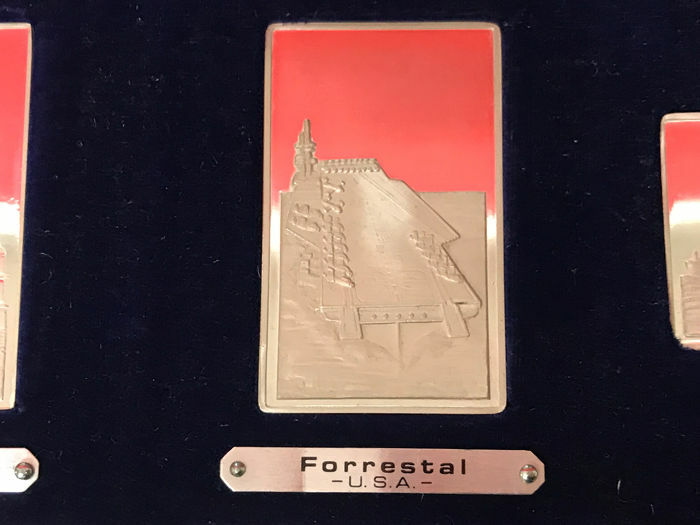 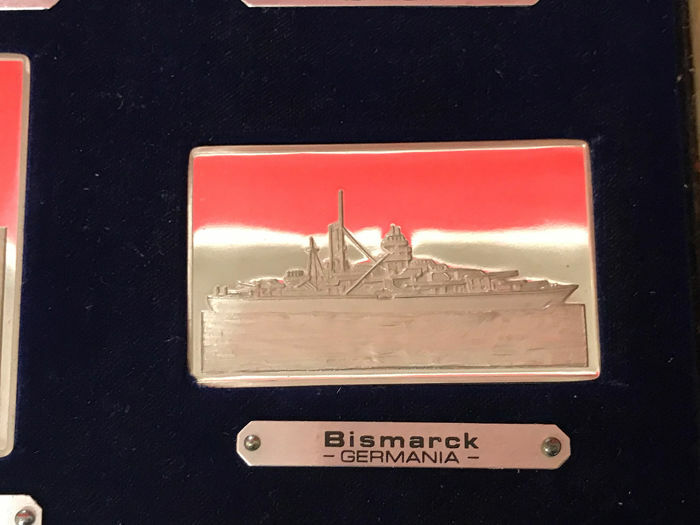 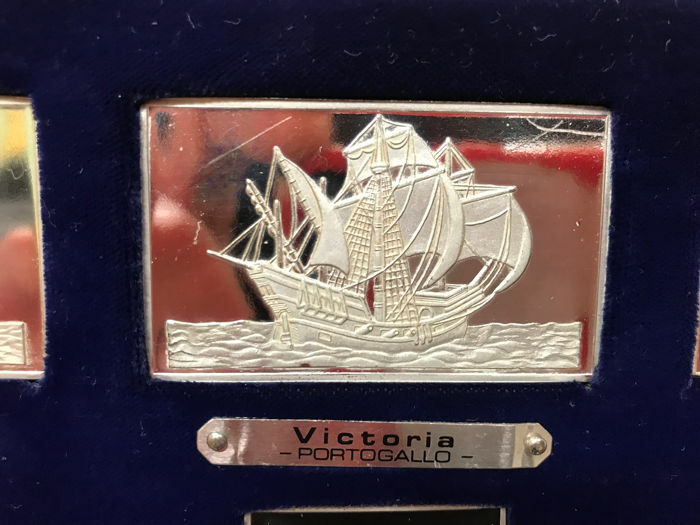 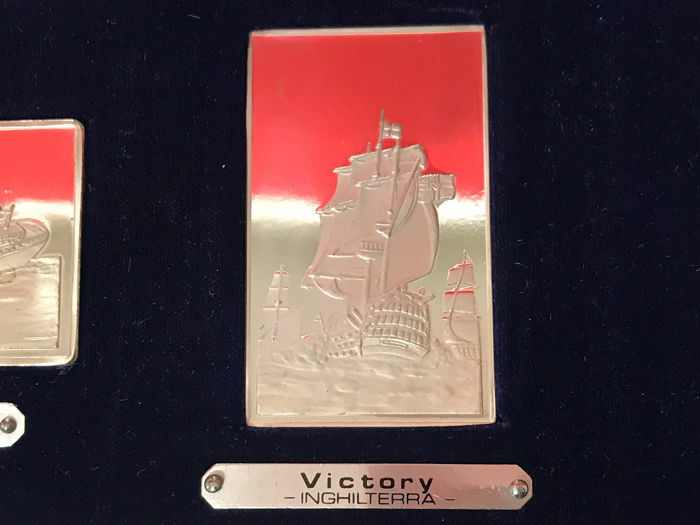 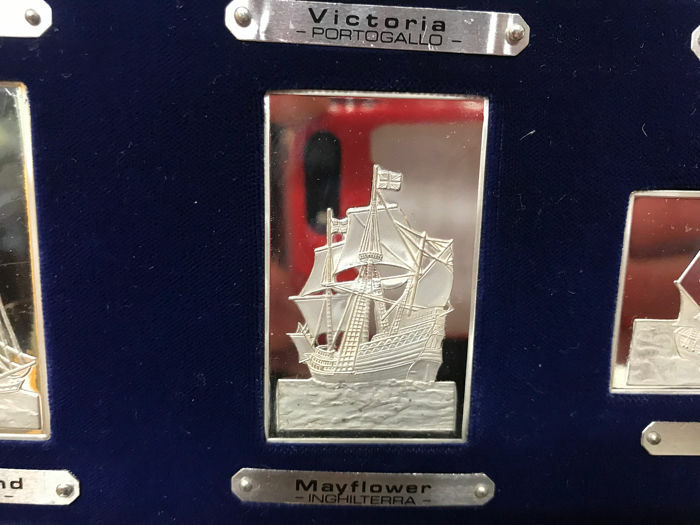 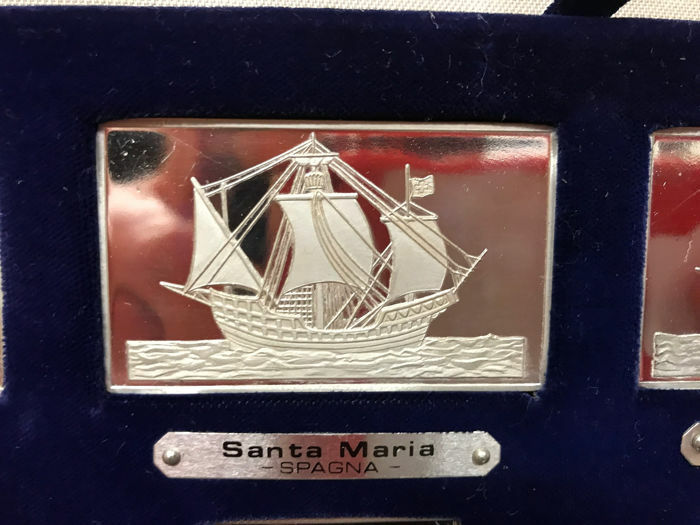 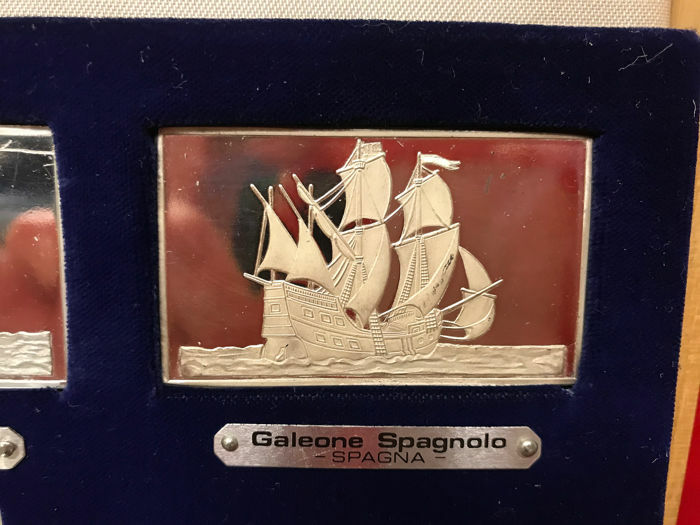 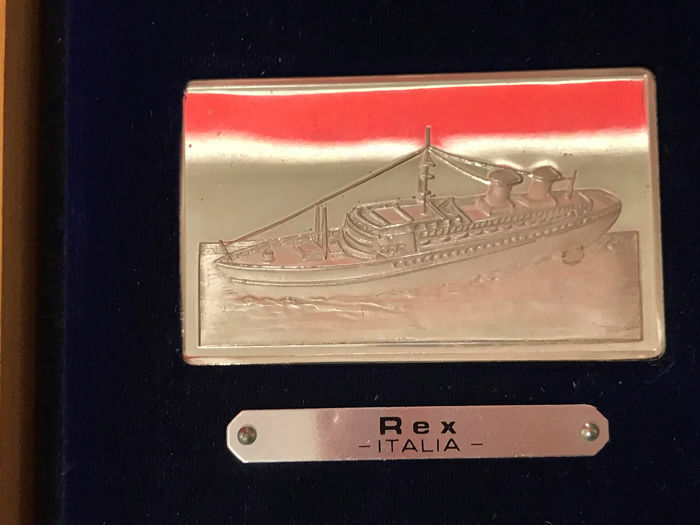 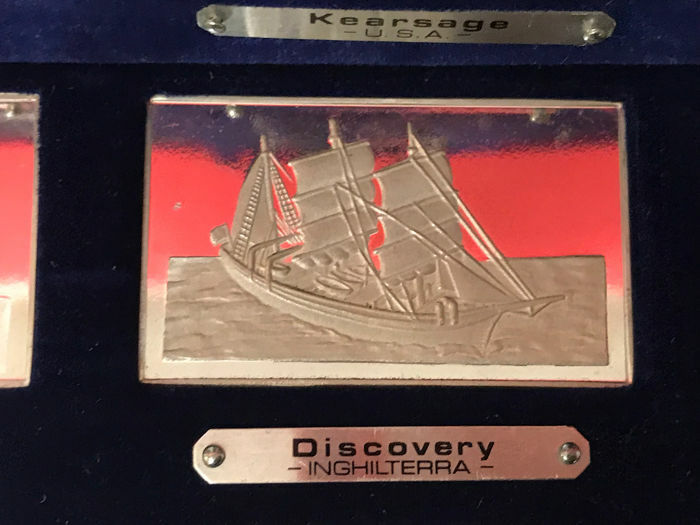 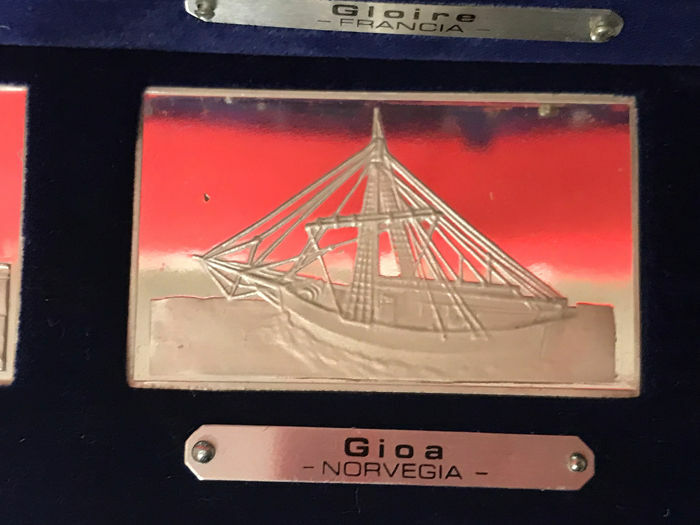 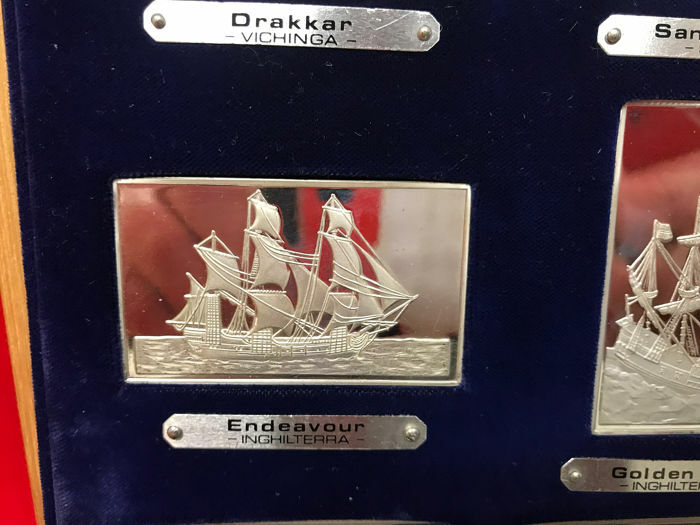 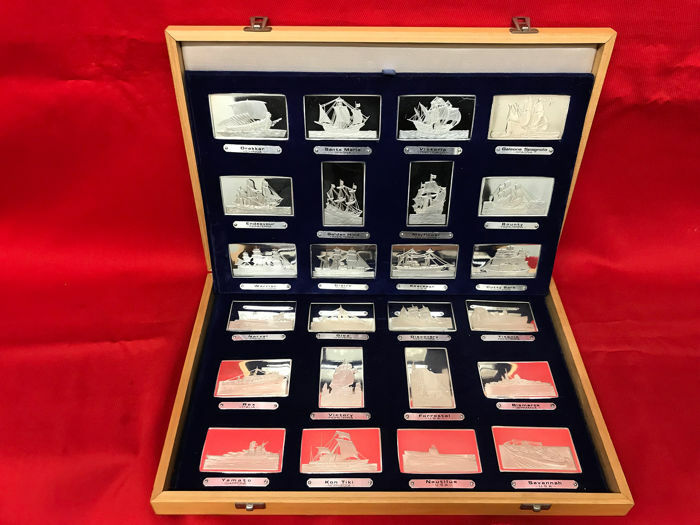 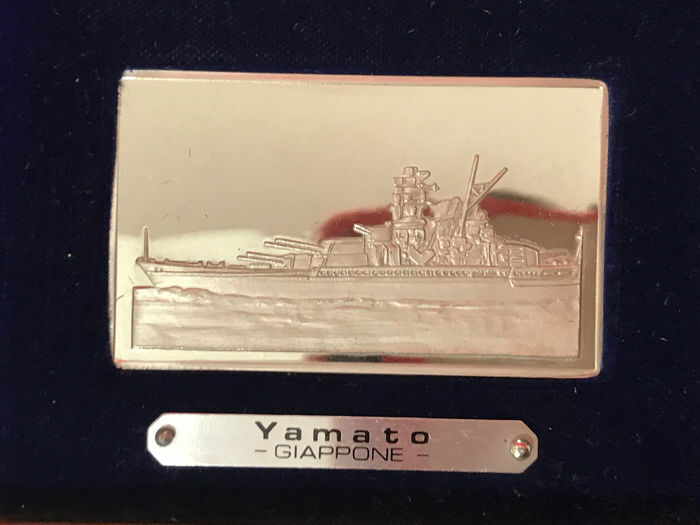 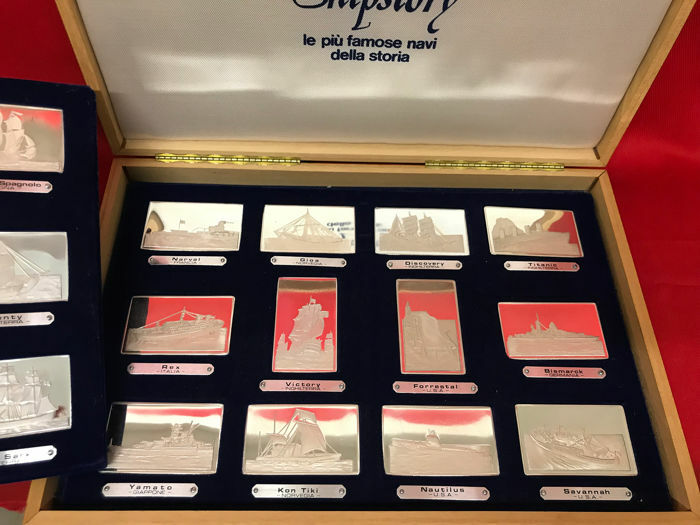 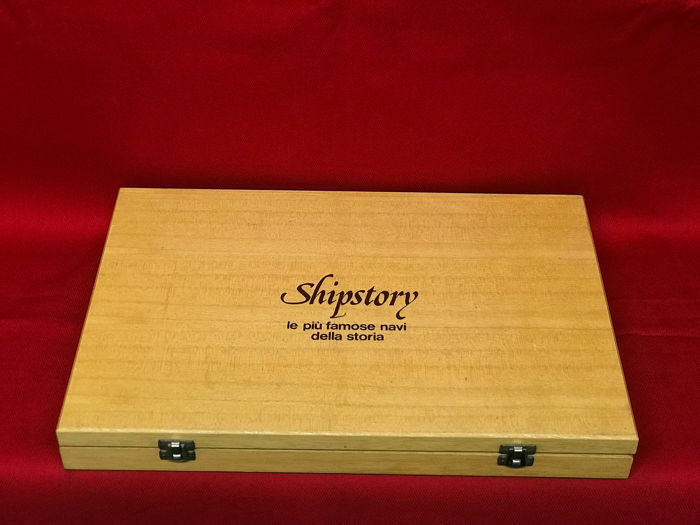 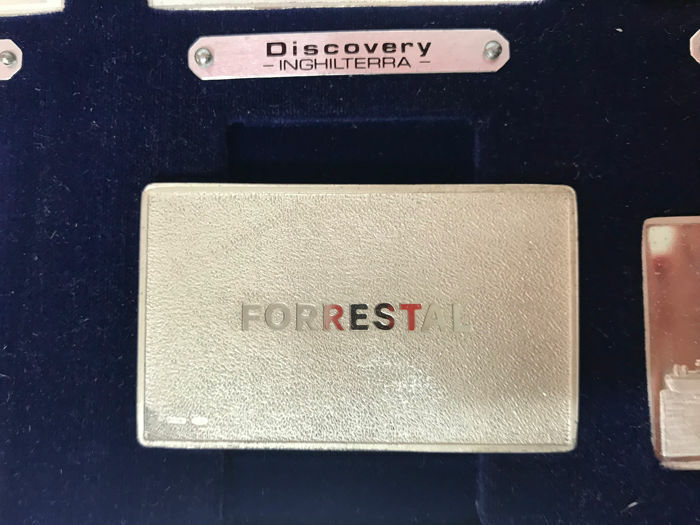 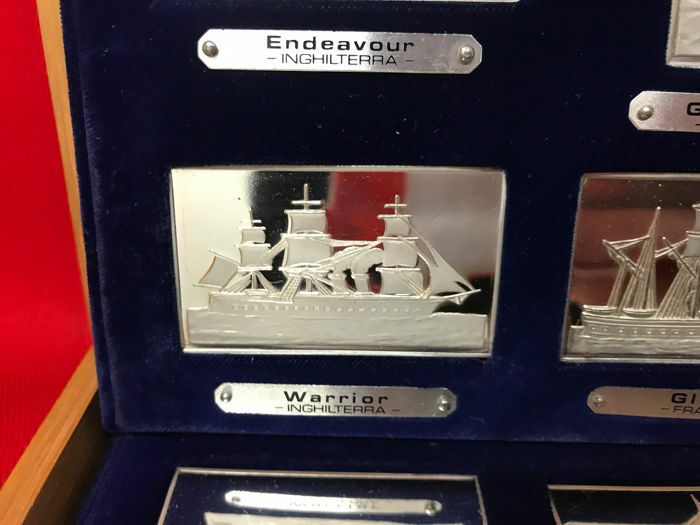 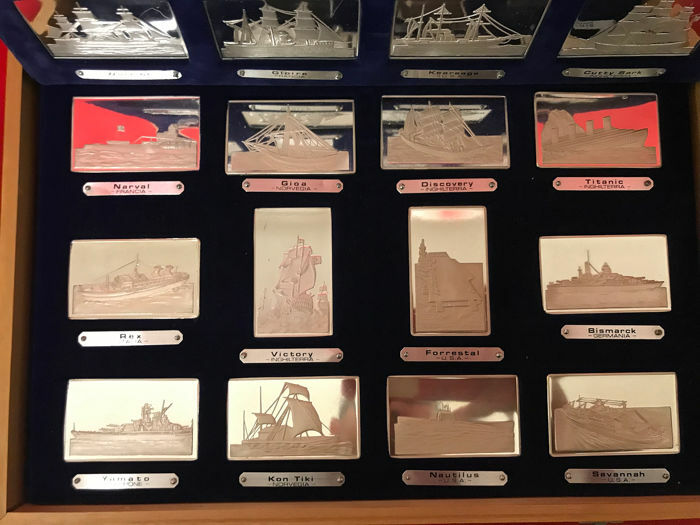 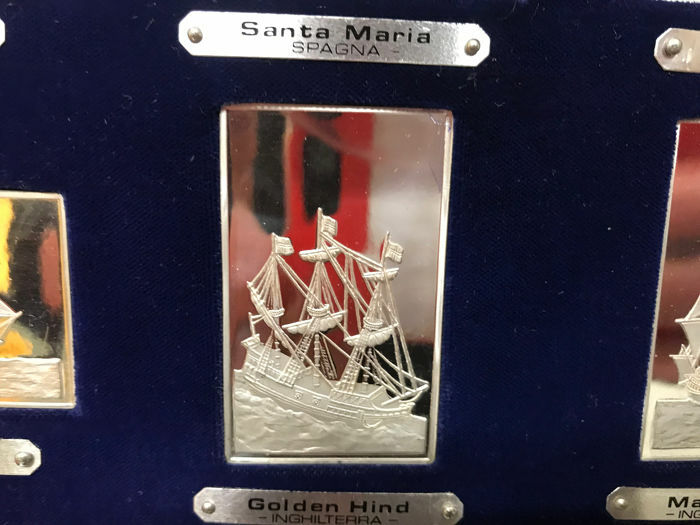 Exclusive collection made of 24 silver 925 ingots depicting the most famous ships in the world, all kept in a special wooden box lined in velvet with dimensions of 31.5 x 21.5 x 3.5 cm. 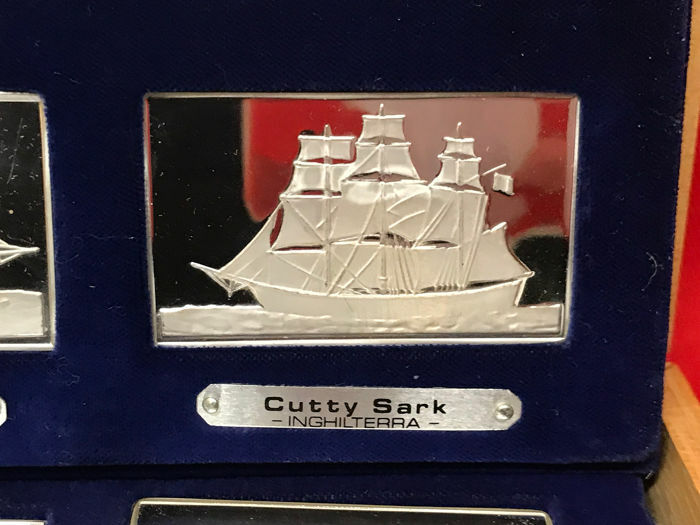 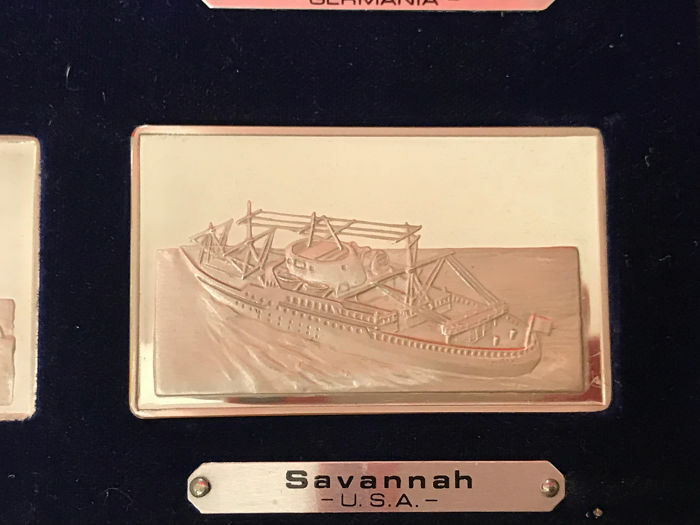 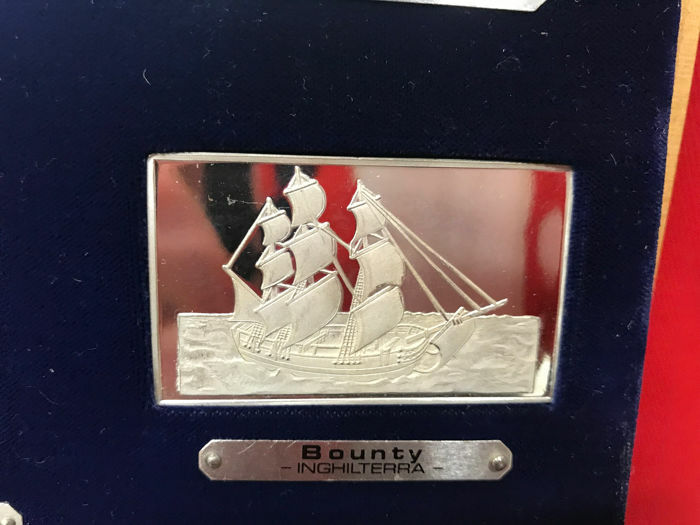 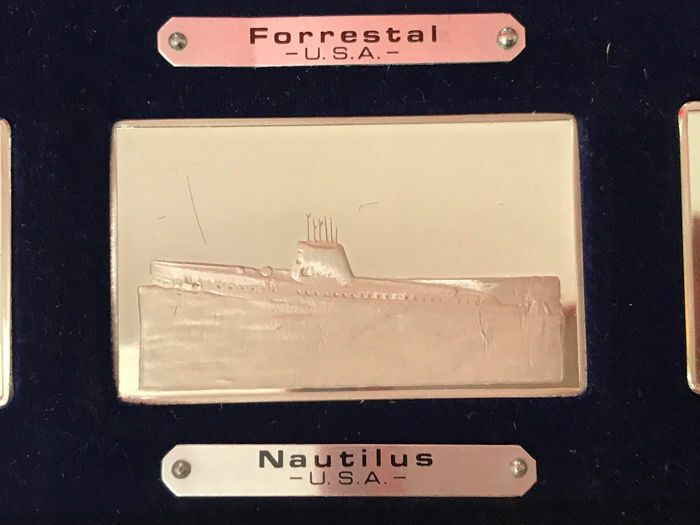 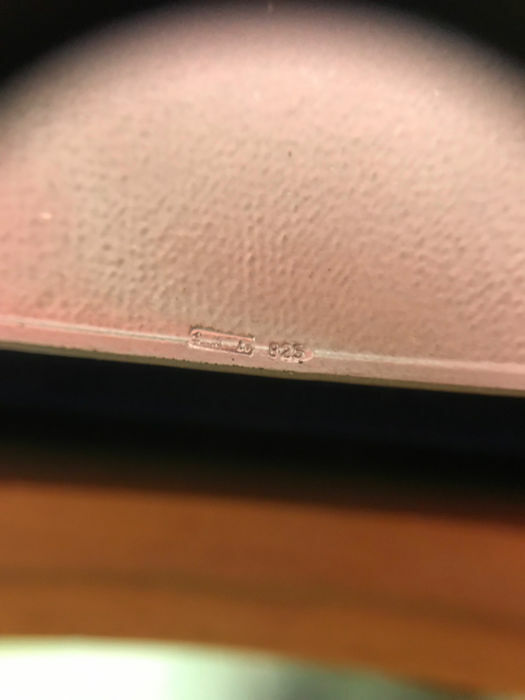 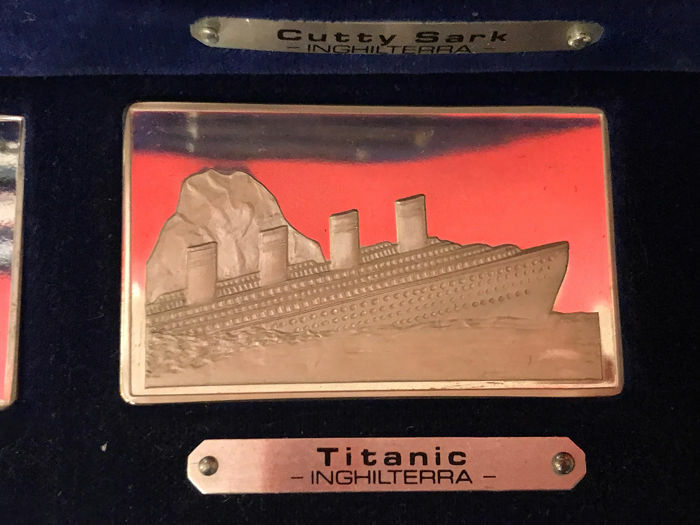 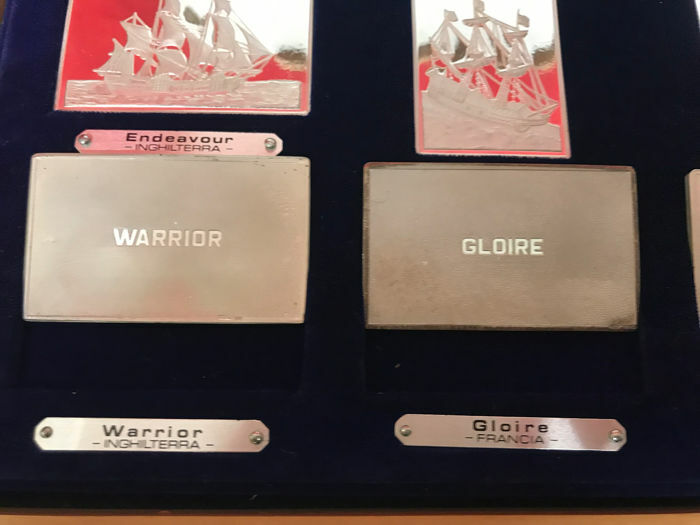 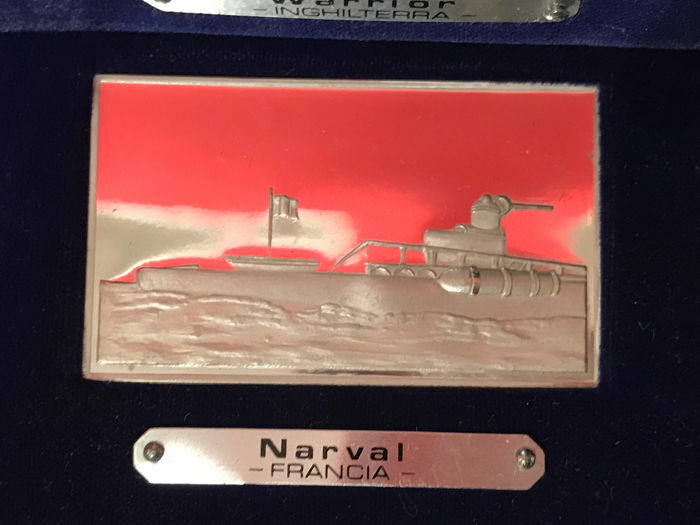 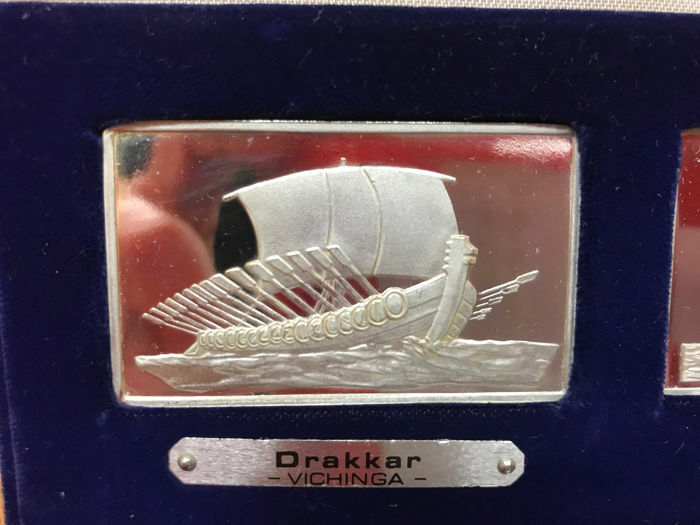 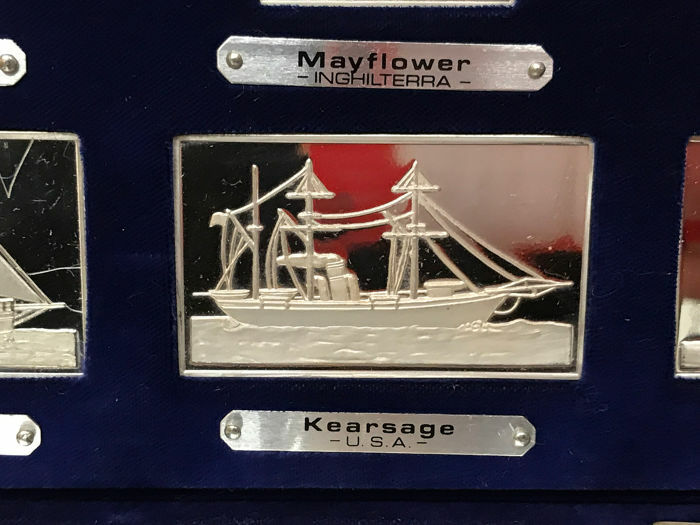 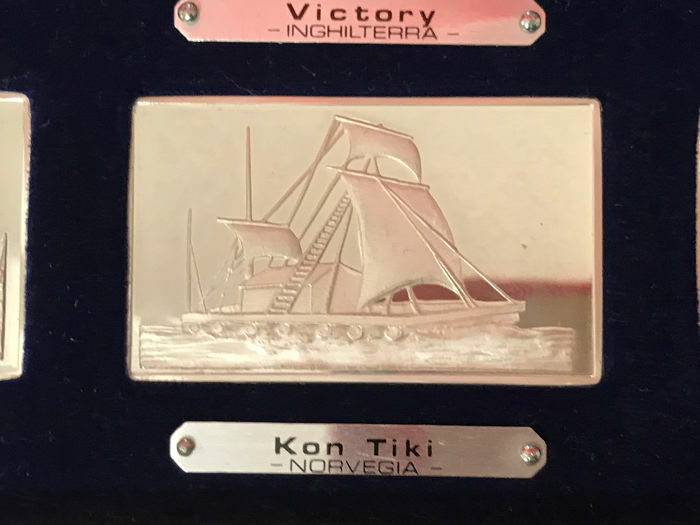 On each ingot, there is a ship and on the back of the ingot there is its name. 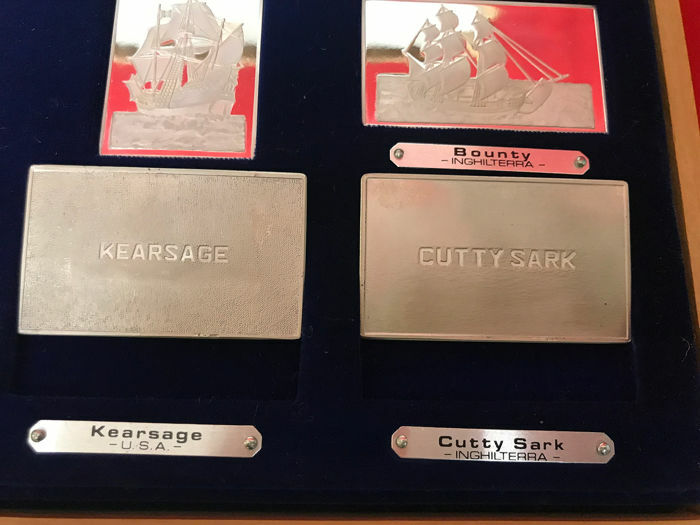 Each ingot is hallmarked, measures approximately 57 x 35 mm and is placed in special containers. 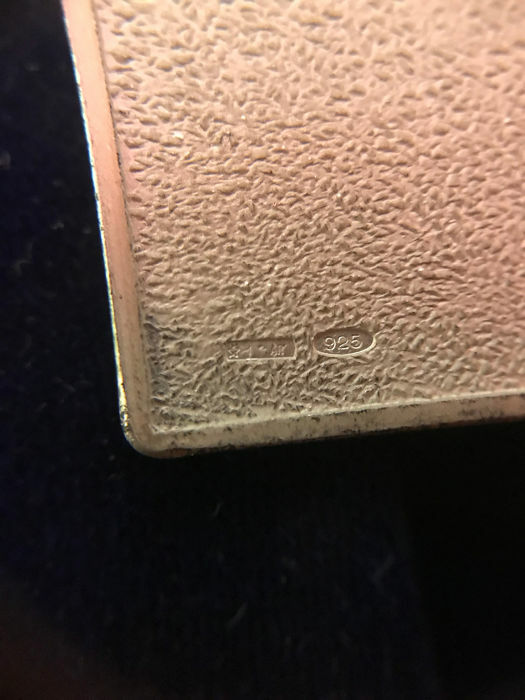 The total weight of the bars is 1000 g.
The lot is in very good condition, just a few small marks on some ingot, the 36 photos show exactly the condition.